Now released, here's everything you need to know about Anthem as it grows. 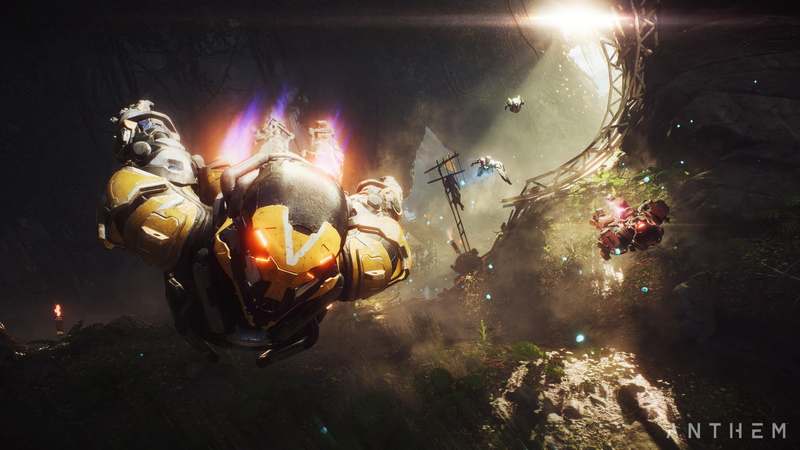 Anthem, BioWare&apos;s cooperative, team-based shooter is a change of pace for the makers of Dragon Age and Mass Effect. With a focus on cooperative PvE combat popularised by the likes of Destiny, it landed amid a swirl of hype and expectation, which it has so far failed to meet. Anthem has a big challenge in front of it then – with arguments that its endgame content is weak, its loot system broken and its story not up to scratch when compared with previous narrative-driven BioWare RPGs, it&apos;s fighting to win back the hearts of those who were initially in awe of its promise. With EA backing it and BioWare&apos;s heritage at its heart, there&apos;s hope yet that Anthem will be redeemed. It&apos;s being touted as a "living" game after all – one that will evolve over time to keep its fans entranced long after launch – and the likes of behemoths such as Destiny and Fortnite all went through rough launches before becoming gaming juggernauts. 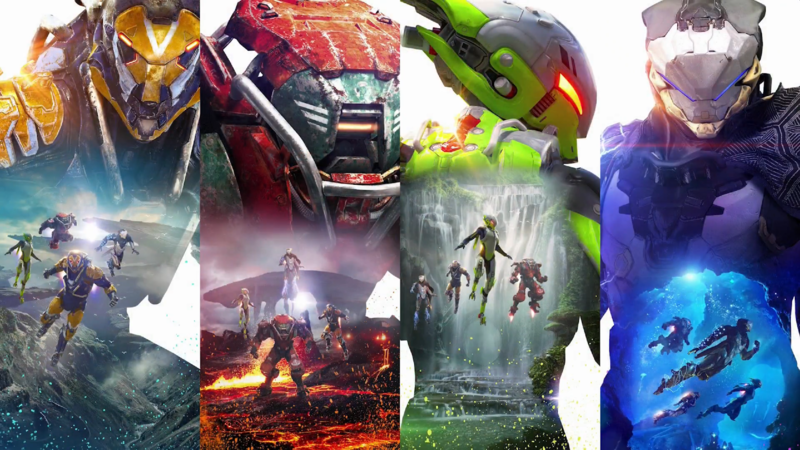 So what&apos;s the latest Anthem news? When&apos;s the next update? And what does the future hold for Anthem? Read on for everything you need to know about the Iron Man simulator. What&apos;s new? A server-side update will see an increase in legendary loot drops. One of the main complaints (bugs, even) relating to Anthem is the quality of its loot. It&apos;s been all-but-proven to be pointless, given that the game scales a player&apos;s power over the course of play. A small update on March 15 2019 aimed to address that. "In the latest server-side update, we&apos;ve made some notable changes to the loot drop rate in specific scenarios, which will take effect immediately in a server-side tuning update," the team said on publisher EA&apos;s website. "These changes include: Masterwork & Legendary drop rates have been increased for Grandmaster 2 and Grandmaster 3 difficulty levels, and Masterwork & Legendary drop rates have been increased for harder enemies at all difficulty levels. This includes: Legendary Ancient Ash Titan, Elite Ancient Ash Titan, Legendary Fury, Legendary Ursix and Legendary Luminary." It is a positive early update from the team, as it begins to collate issues the game&apos;s core fans are uncovering. And it proves a sight more positive than having to figure out how to stop some consoles from crashing when playing the digital version of Anthem – a harrowing early bug the developers rushed to squash. Anthem DLC – what&apos;s next? How do both teams hope to achieve this? Through regular content drops, that&apos;s how. 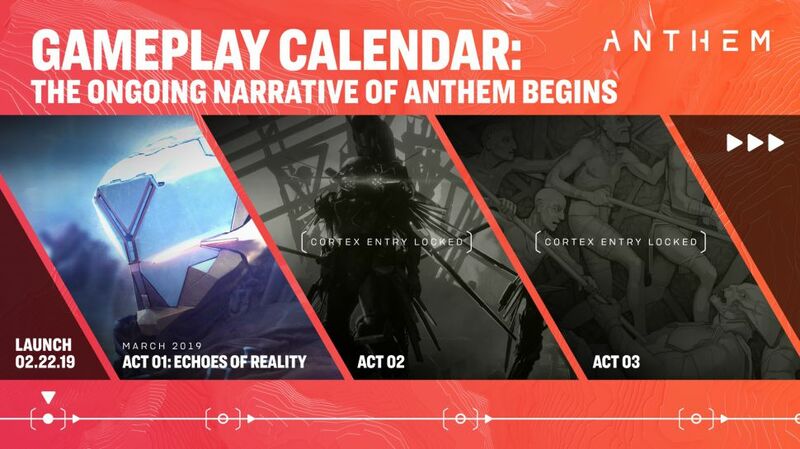 As pictured above, EA and BioWare have already mapped out the "ongoing narrative of Anthem", with updates mapped out already until May 2019. As for what the Catyclysm brings, little is known at the moment beyond the promise of new freeplay events, missions and new items. We&apos;ll presumably find out more as the year rolls on. But what about paid DLC? EA has yet to announce it&apos;s mid-to-long term plans for Anthem. We&apos;d expect it will follow a similar path as Destiny, which had a continued supply of small improvements and features added, interspersed with larger paid-for DLC packs, before an eventual sequel. That is, of course, if Anthem can prove its staying power... Here&apos;s hoping – there&apos;s a gem at the heart of Anthem, waiting to be dug out. We&apos;re hopeful that we&apos;ll one day be playing Anthem at its strongest.